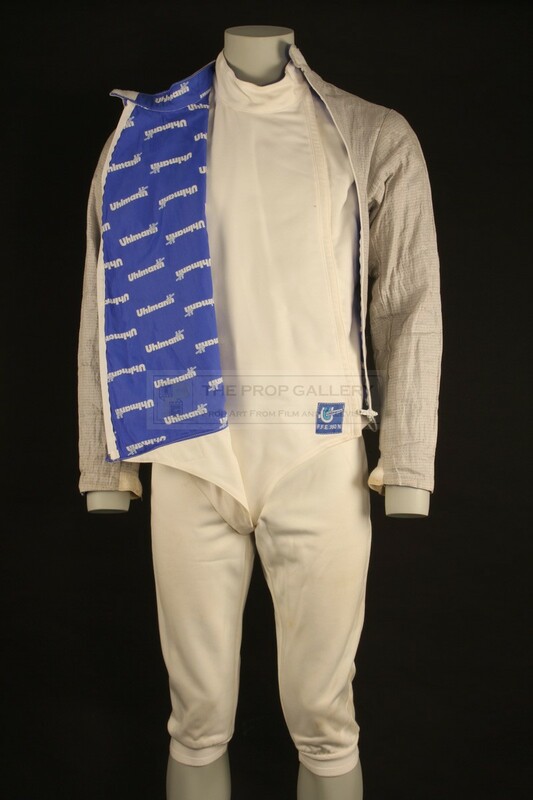 An original costume used in the production of the 2002 James Bond picture Die Another Day starring Pierce Brosnan as the suave spy. 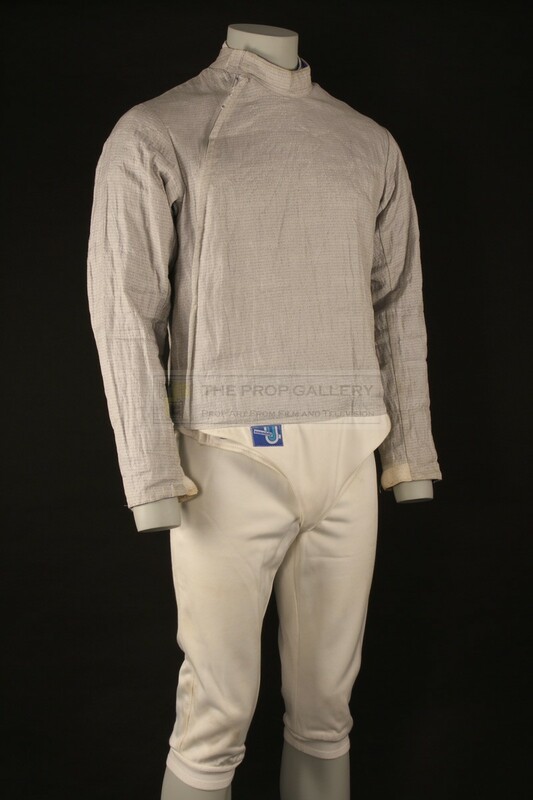 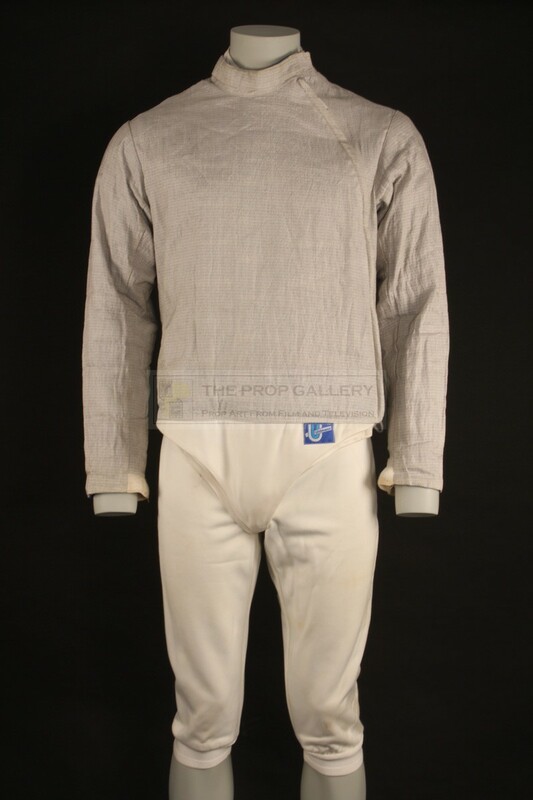 This fencing costume was during production for the fencing scenes at the Blades club where Bond (Pierce Brosnan) and Graves (Toby Stephens) do battle. 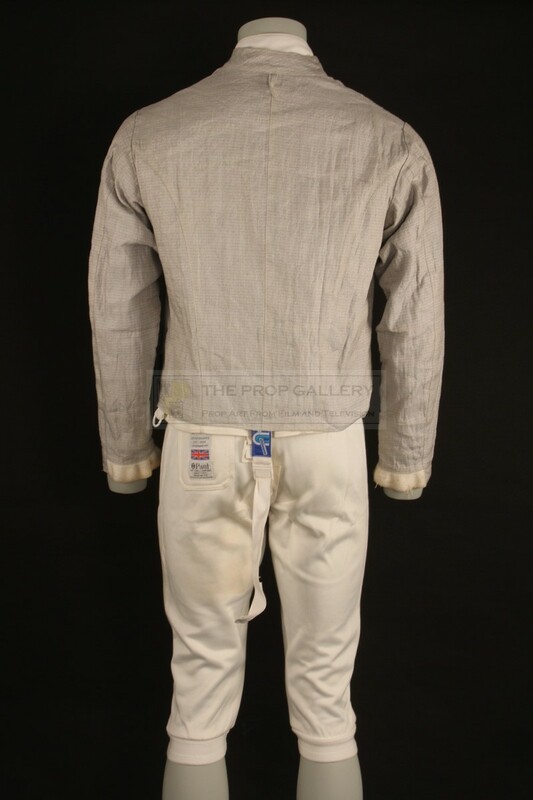 The costume consists of an Uhlmann branded fencing jacket, Leon Paul branded fencing breeches and an Uhlmann branded sabre lame electric jacket all of which are genuine competition grade protective clothing. 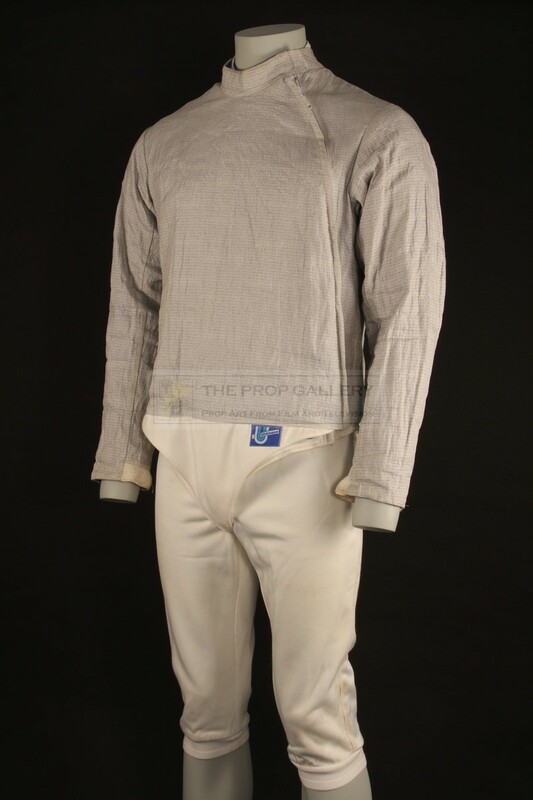 The costume remains in excellent production used condition throughout with some minor staining to the cuffs of the lame jacket. An affordable wardrobe artefact from one of the most celebrated franchises in cinematic history.